‘Flagship killer’. It was probably OnePlus that first made this expression part of popular culture. And on the day when OnePlus launches its latest OnePlus 6, we tell you that the company is not the only one staking claim to the term 'flagship killer'. Rival Huawei's Honor is among one of the many brands who’ve landed in the same zone—the fiercely competitive Rs 30,000—40,000 price band. It’s where consumers expect their devices to do everything a flagship device can at a price that doesn't completely break the bank. The Honor brand has been one of the aces in Huawei’s global game plan. It’s no coincidence that Honor’s 2018 flagship was launched just two days ahead of the OnePlus 6’s India debut. 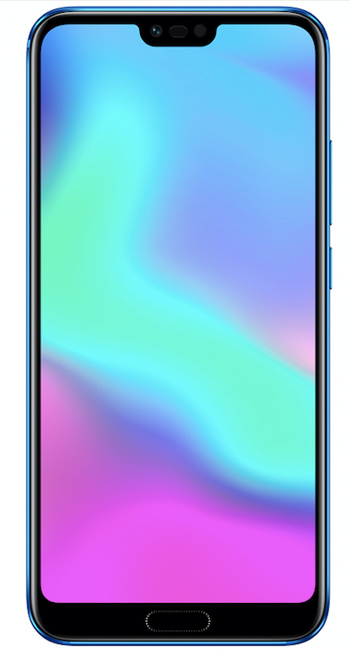 The Honor 10 costs Rs 32,999/- and has been available from May 16. Blue? Purple? Keep guessing. 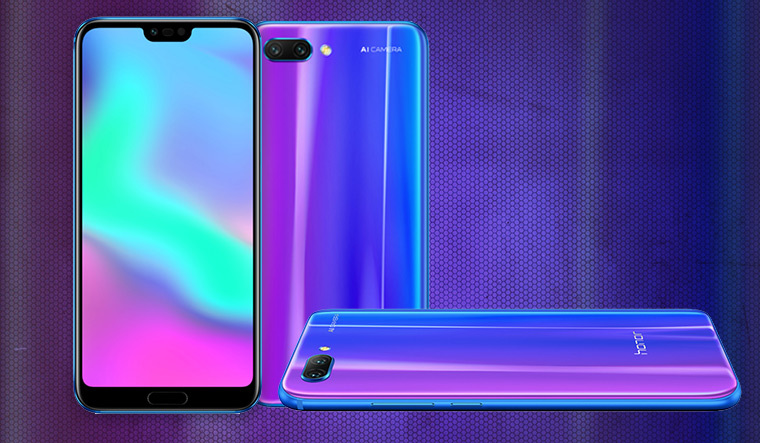 Honor gives a fancy touch and calls it ‘Phantom Blue’. In 2015, Huawei set up a Global Aesthetics Centre in Paris. Designers here have worked to create a truly unique finish for the Honor 10 chassis with a material the company calls Aurora Glass. This process involves stacking 15 layers of glass to create an iridescent, almost psychedelic effect. The effort is totally worth it. The all-glass back swings from blue to purple and truly sets this phone apart in a smartphone world dominated by blacks and greys. If you prefer your smartphone dressed in black, the company also offers a midnight black option. Design is one of the key differentiators for the Honor 10; the device manages to cram a fingerprint sensor under the screen. It’s almost invisible, there’s no depression. It works really well and adds to the bezel-less form of the device. It’s a tad difficult to locate in the dark though, but this is something that users will eventually get used to. The phone manages an impressive 86.2 per cent screen:body ratio. It is why this phone feels quite light in your hands despite a 5.84-inch IPS LCD display (1080 x 2280 pixels/19:9 aspect ratio) that packs a decent 432 PPI (Pixels per inch) with vibrant colours. Despite its ultra-thin form, Honor still makes room for a 3.5mm headphone socket that will please many users who aren’t ready to switch to wireless headphones. And then there’s the notch, a recurring theme in smartphones since the iPhone X. This one’s tiny and there’s a ‘hide notch’ feature that converts the strip into a black status bar. It’s a clever touch for those who don’t fancy the notch. Aside from the device’s iridescent finish, the AI Camera is the other headline feature. You’ll hear a lot of brands use AI (Artificial Intelligence), one of the major buzz words this year. The Honor 10 features a dual camera set up—16MP (f/1.8 aperture) and a 24MP monochrome lens. It’s the same approach (the monochrome lens) Huawei has taken with some of its premier flagships and has helped improve image quality. The Honor 10 incorporates what the company calls Semantic Image Segmentation technology that helps the device identify multiple objects in the same image. It also enables the device to apply ‘scene-specific’ parameters to each image you click. It’s a great feature to have, especially if you’re a lazy photographer who likes the camera to do all your hard work. It’s just that it doesn't always quite work out in the real world. The AI layer tends to over ‘colourise’ images in many scenarios. Luckily there’s an option to view and edit images without the AI mode—the ‘original’ image so to speak. Just a few weeks ago, Huawei launched the P20 Pro with a Leica designed triple-camera setup. It’s one of the best smartphone cameras and it costs twice as much as the Honor 10, comparisons are inevitable. The Honor 10’s camera produced a mix bag of results in our tests. It’s tough to recommend this device purely on its camera credentials. The Honor 10 is packed with the same internals as the P20 Pro, Huawei’s pricey flagship. It’s powered by the company’s Kirin 970 Octa-core processor with 6GB of RAM and 128GB of internal memory. The device aced our performance tests with effortless multi-tasking capabilities. The 3400 mAh battery didn't let us down, comfortably lasting a whole day with some camera and multi-media usage. The device is not water-proof but that’s hardly a deal breaker in this segment. Aside from Android 8.1, there’s also EMUI 8.1, Huawei’s very own custom UI that offers heaps of customisation options but it’s not for Android die-hards who prefer a pure-play Android experience. The 2018 battle for the flagship killers has just begun. Honor has just fired the first salvo, the OnePlus 6 will soon follow suit. The Honor 10 brings enough to this slugfest—striking form factor and design, robust hardware and a dependable battery. The success for this year’s contest might boil down to the camera.